On April 27th, less than one month after the U.S. Attorney’s Office for the Southern District of New York filed opposition for Ross Ulbricht’s post-trial motions, District Court Judge Katherine B. Forrest rejected Ulbricht’s retrial motion. Judge Forrest’s denial aligns with the opposition filed on April 3rd. Ulbricht, who was convicted of running the hidden Silk Road marketplace, filed post-trial motions on March 3rd. The motions requested a retrial with the inclusion of Andreas M. Antonopoulos’ expert tesimony and suppression of evidence from the Silk Road server. Ulbricht’s arguments for the late disclosure of “Brady material”, suppression of evidence, and expert testimony proffer, were disassembled in both the motion’s opposition and denial. Ulbricht first argued for a retrial due to late disclosure of “Brady material.” The alleged material were details from the investigations into Mark Karpeles, Anand Athavale, and DEA Special Agent Carl Force. For material to be considered “Brady material,” it must be exculpatory, have been suppressed by the Government, and be material enough to produce a different verdict. Investigation into Karpeles as the Silk Road operator began when investigators found “silkroadmarket.org ” to be hosted by Kalyhost, a hosting company owned by Karpeles. 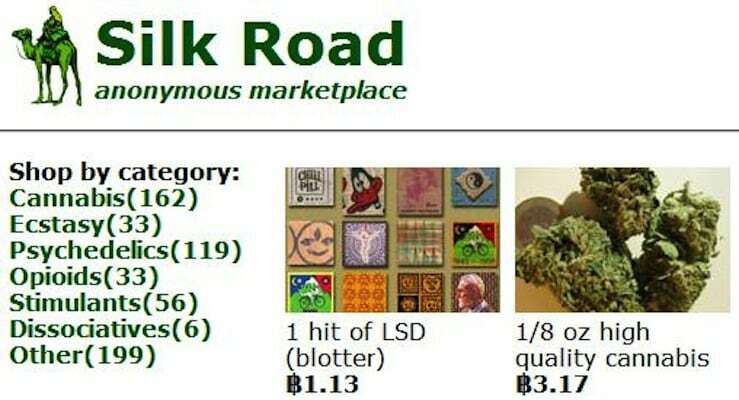 “Silkroadmarket.org” supplied users with information on how to access and use the Silk Road marketplace. Ulbricht’s seized laptop later showed investigators he leased the server. Ultimately no compelling evidence was found linking Karpeles to Silk Road, and Ulbricht’s defense was unable to provide any additional evidence. Athavale was discovered on Mises Institute, a website linked in a reading list by the Silk Road operator. Investigators found similarities in language and libertarian economics between Athavale and the Silk Road operator. Beyond these similarities no additional links were found between Athavale and Silk Road. Ulbricht’s defense didn’t provide new evidence during trial. The last piece of “Brady material” relates to DEA Special Agent Carl Force, a corrupt DEA Special Agent involved with the Silk Road investigation performed by the U.S. Attorney’s Office for the District of Maryland. Ulbricht claims he was denied information concerning the corruption investigation into Force and another agent. According to the U.S. Attorney’s Office for the Southern District of New York, all trial evidence was procured from their office, not the Baltimore office of which the “rogue agents” were involved. Because of this, the information asserted by the defense to be “Brady material” was deemed non-exculpatory prior to trial. According to Ulbricht, “the government was conducting warrantless TOR network surveillance on a TOR exit node.” Communications between Special Agent Der-Yeghiayan and the agent’s CI additionally support this claim. Despite potential Fourth Amendment issues, Ulbricht never showed privacy interest in the Silk Road server in due time. Because the server cannot be protected as Ulbricht’s property, it was determined the means used in obtaining the server do not support evidence suppression. Ulbricht’s sentencing is scheduled for May 15th.